Really stand out in your swim training and fitness sessions with this new Dolfin Girls Winners Quest V-2 Back swimsuit. The Dolfin Winners swimsuits are known for their eccentric designs as is the case with the new Quest Girls swimming costume with its maze of arrows and splashes of colour. 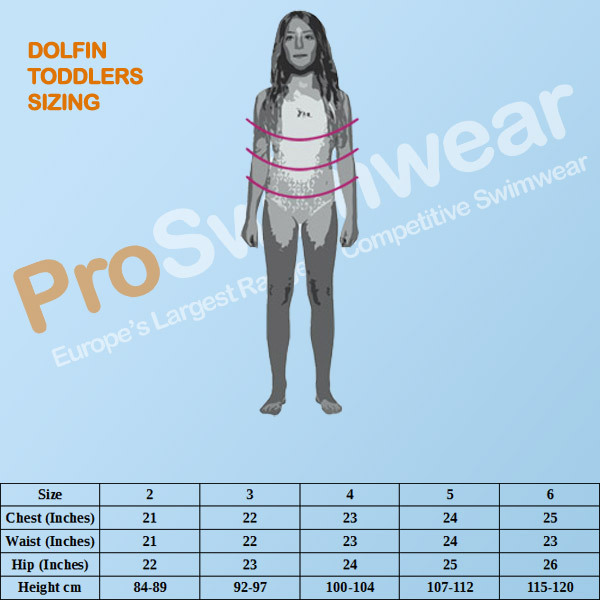 Adopting Dolfin's popular V-2 back design the swimsuit offers increadible support and comfort with a moderate coverage open back key-hole design supported with thin shoulder straps allowing for excellent freedom of movement. Perfect for those longer sessions. Being part of the Dolfin Winners range which is loved by swimmers around the world for its long lifespan, comfortable fit and colourful designs this swimsuit is ideal for training, fitness and leisure use! Girls swimsuit from the stylish Winners range. High definition intricate and colourful print design unique to the Quest swimming costume. V-2 back design featuring modest coverage and open back key-hole design for supreme comfort. The swimsuits nylon composition gives it superb durability and flexibility.